Let us understand it with the help of an example. 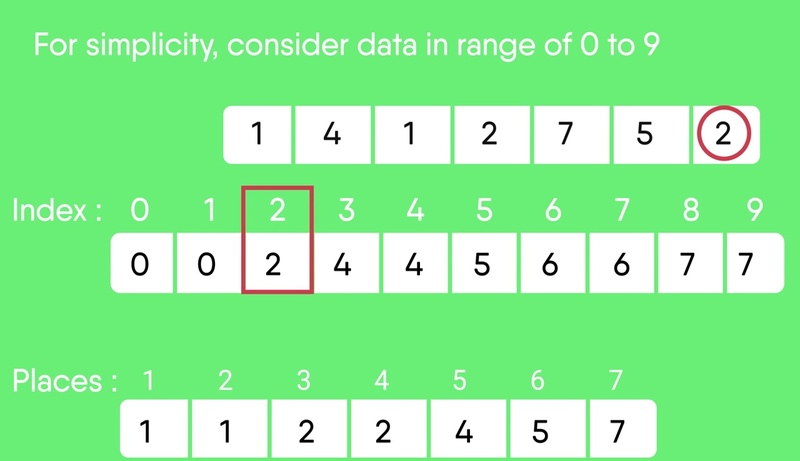 For simplicity, consider the data in the range 0 to 9. 1) Take a count array to store the count of each unique object. stores the sum of previous counts. decreasing its count by 1. Process the input data: 1, 4, 1, 2, 7, 5, 2. Position of 1 is 2.
next data 1 at an index 1 smaller than this index. Following is implementation of counting sort. // To make it stable we are operating in reverse order. The problem with the previous counting sort was that we could not sort the elements if we have negative numbers in it. Because there are no negative array indices. So what we do is, we find the minimum element and we will store count of that minimum element at zero index. 1. Counting sort is efficient if the range of input data is not significantly greater than the number of objects to be sorted. 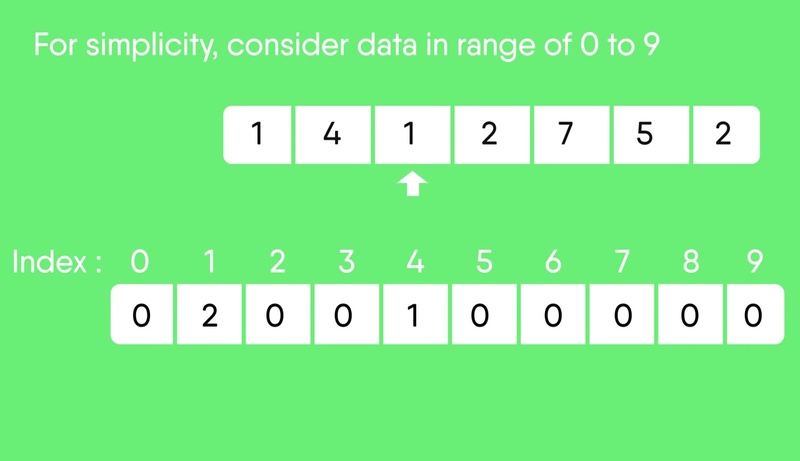 Consider the situation where the input sequence is between range 1 to 10K and the data is 10, 5, 10K, 5K. 2. It is not a comparison based sorting. It running time complexity is O(n) with space proportional to the range of data. 3. 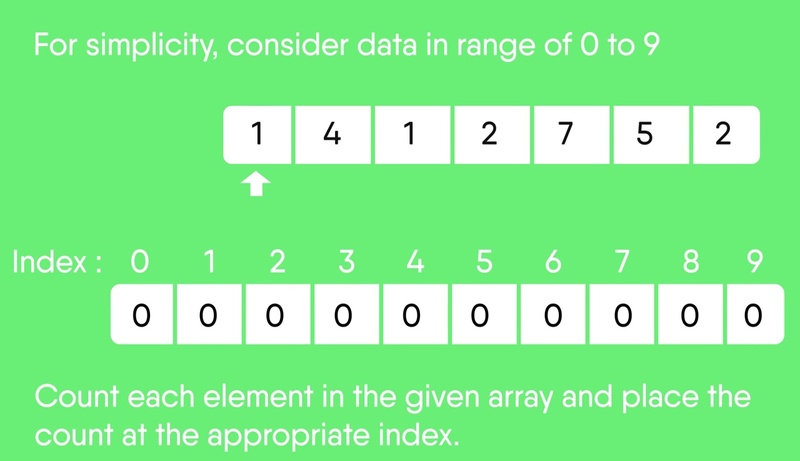 It is often used as a sub-routine to another sorting algorithm like radix sort. 4. 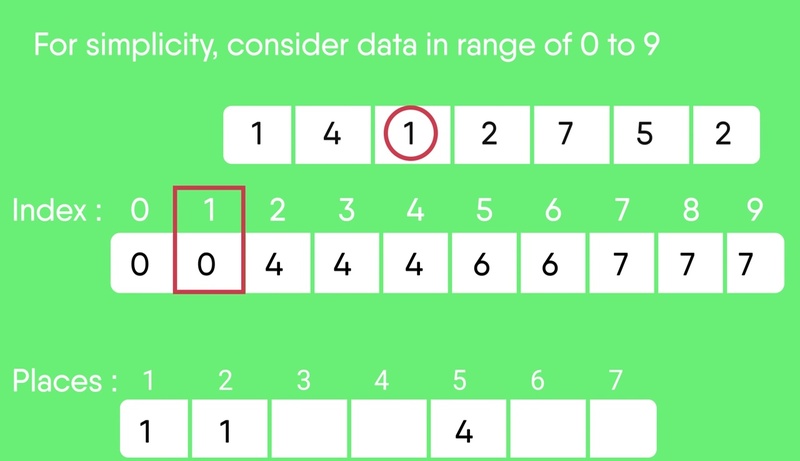 Counting sort uses a partial hashing to count the occurrence of the data object in O(1). 5. 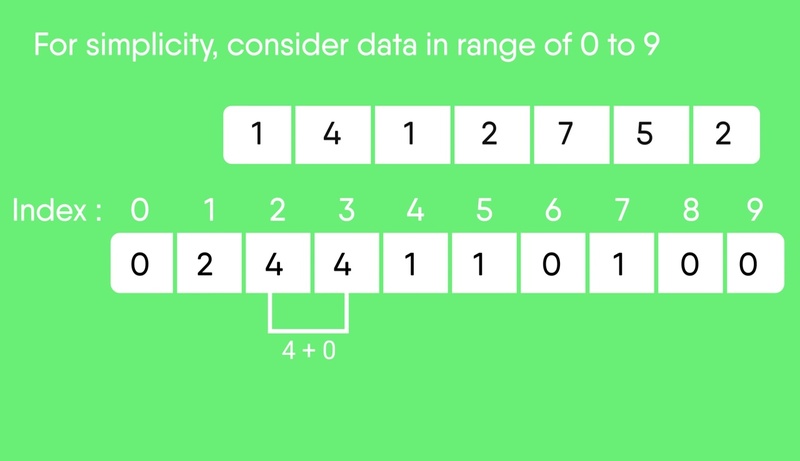 Counting sort can be extended to work for negative inputs also. 1. Modify above code to sort the input data in the range from M to N.
2. Is counting sort stable and online? 3. Thoughts on parallelizing the counting sort algorithm. This article is compiled by Aashish Barnwal. Please write comments if you find anything incorrect, or you want to share more information about the topic discussed above.